Home » I Lost My Car Key, What Can I Do? I Lost My Car Key What Can I Do? When you lose your car key it can be unpleasant moment. Thinking bout losing your only car key is enough to make you irritated. In general, calling a locksmith can save you a lot of time and frustration. In addition, it can make you be sure that the job is done right. There are many reasons why you may need a car key locksmith! Locksmith is better than a car dealer. Usually, a locksmith will quote you a cheaper price than a car dealer. We are at LockTech24/7 can assure you will be quoted a cheaper price as we can, as well as keep on satisfying you with a final result of the best locksmith service. Unfortunately, losing a car key can happen from time to time. It’s happened to me too, visiting Netherland, Europe. Every one of us lost his car key at least once in his life. With this in mind, if you lost your car key, please call us, soon as you can. LockTech24/7 automotive locksmith in Bethlehem, Easton, and Allentown, PA. When you call us, you don’t need to tow your vehicle, anywhere. We come to you, we make your car key on-site, and on the spot. Car key replacement service, hassle-free, done by LockTech24/7 is your best choice! Yes, you hear it right! We provide 24/7 car key replacement services in Allentown, Bethlehem, and Easton, PA. Whether you need to replace transponder key, or high security, lase cut ket, we can help. Where are you now, are you in an urban area or an isolated cornfield? Or maybe you’re at the top of the mountain of a ski resort in the area of the Lehigh Valley? What if you lost your car key in the river? Car Key Replacement Service – Hassle Free! It probably sounds weird, but it’s real. Yes, we provide lost auto key cutting & programming, within minutes. We do that in your location, and we do that in your c0onvenience! 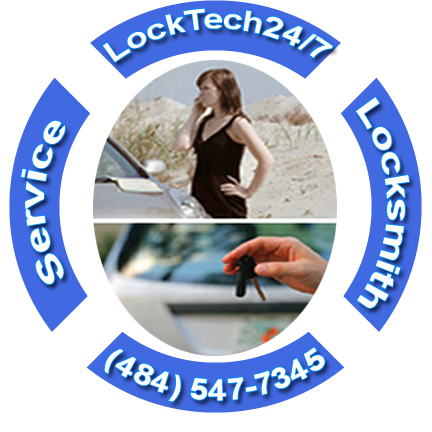 LockTech24/7 mobile car locksmith, whether you’re in Nazareth, Center Valley, or Fogelsville, PA. Whenever you ask yourself; I lost my car key what can I do? We recommend you to do the best thing, call LockTech24/7. We are ready for your call, waiting for your challenge, what car key would you like to have? Stop asking yourself “I lost my car key what can I do?” Stop being so much concern whether you lock yourself out of your car or lost your car key. Call us now, we are just 20 minutes away.